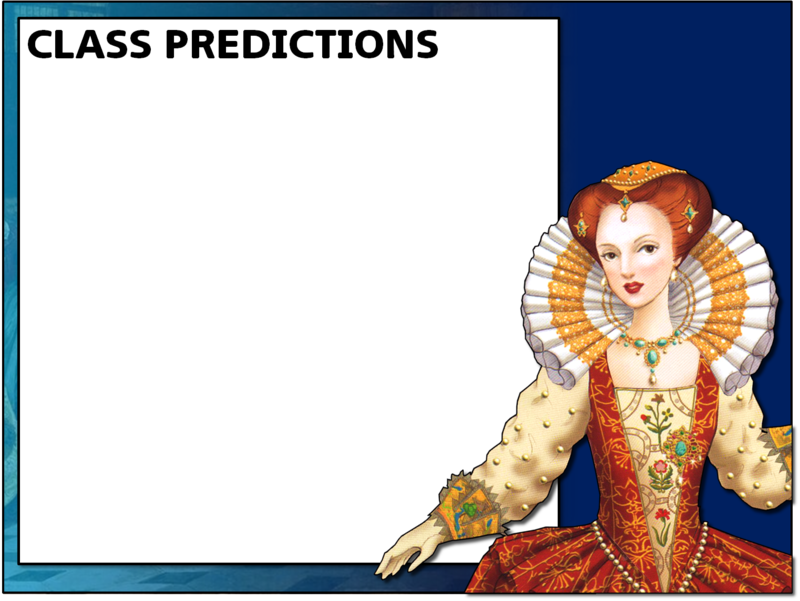 Our Year 9 students have just begun studying the 'Early Elizabethan England' unit which makes up part of the new Edexcel (9-1) GCSE course. I'm currently making new lessons for the course, so here's an activity which worked well on the situation facing Elizabeth on accession. 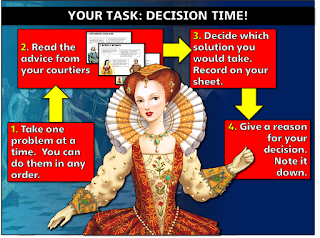 The aim is for students to understand the problems Elizabeth faced, some of the solutions open to her and the relative advantages and disadvantages of those solutions. At the end of this blog post, you can download all the resources if you'd like to have a go at teaching this. 1. Equip students with a copy of the table below. 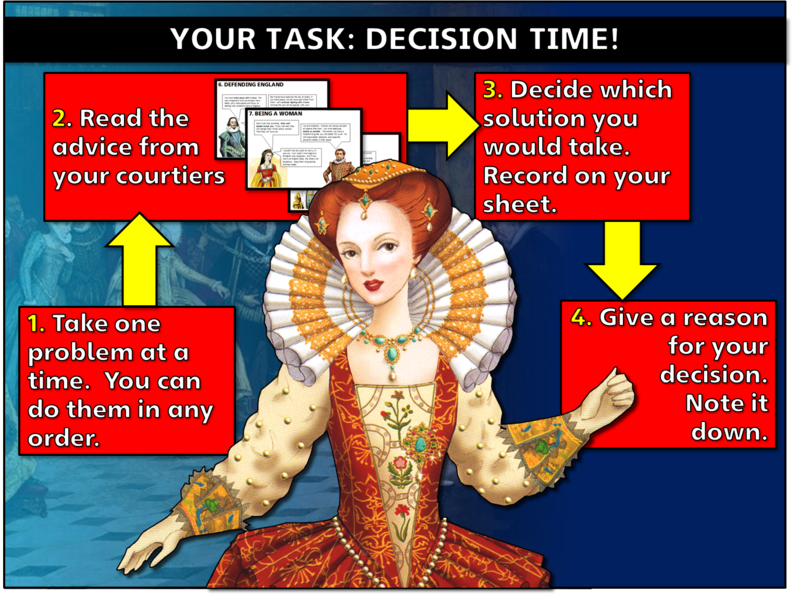 Talk to students about each of the problems facing Elizabeth. 2. Now put students in pairs and give them a set of cards. Each one has a pair of advisers on it, discussing one of the problems and suggesting possible solutions. See the example below. 3. Now working together in pairs, students read their cards, consider the merits of the solutions and make a decision. I'm looking for good dialogue here, in which students discuss the problems and solutions in their historical context. They record their decision, and their reasons why on their own copy of the table.